Don’t Forget the Cullman ARC Hamfest on July 21st, Saturday. Bald Rock Amateur Radio Club’s 145.19 repeater ( -0.6, PL tone 156.7) is now on Echolink. 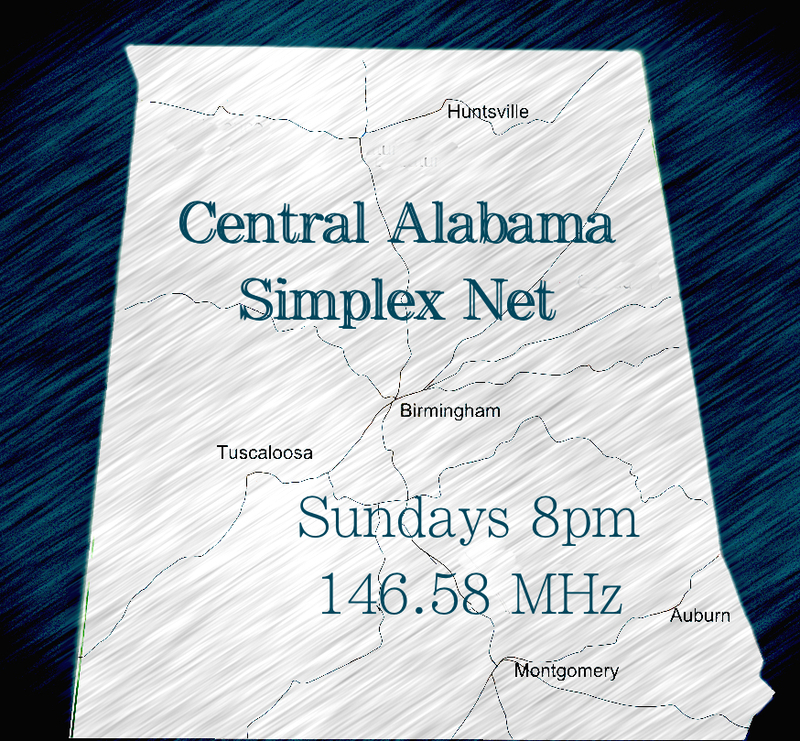 Search in your Echolink client for or N4BRC-R.
Don’t forget Alabama Emergency Net Alpha on that repeater, Tuesdays, 7:00 PM.R. I’ve learned from hard experience that when you are new to a group, it’s not a good idea to come sweeping in with suggestions and concerns, especially concerns which can be interpreted as criticism. The best thing to do is to work as a volunteer, make contributions, and wait until people get that you’re not a troublemaker. I’ve been licensed now for 4 years and my primary volunteer activity in ham radio (if you don’t count spending a very hot weekend as the food captain at a Field Day) has been to call nets. I like calling nets. Currently, I’m managing two nets and calling four regularly. None of that is to self-congratulate–it’s just a statement that I hope I have established the right to express a concern. The VHF (and one UHF) net scene in the Birmingham metro area is in trouble. Not all the nets, but a lot of them are in trouble. When I got licensed, the Shelby County net was impressive. Ran like a machine. Things happened and one day it wasn’t there. 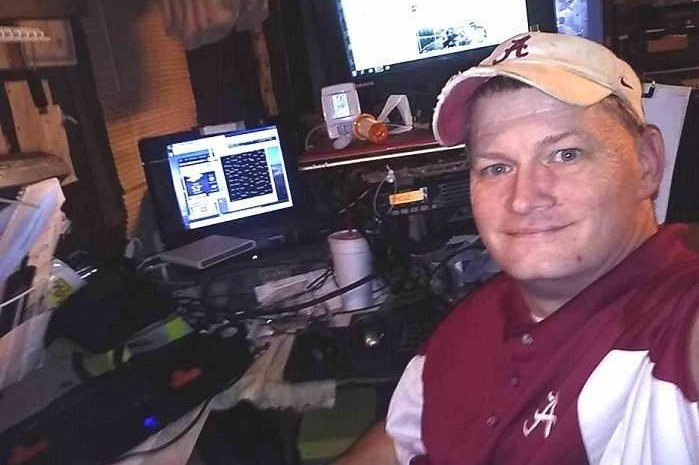 Then a fine guy–a ham operator in Jefferson County we all know and love–stepped up and calls it weekly, in spite of devoting an ENTIRE evening EVERY week to another net. The fine guy who was net manager for Sylvan Springs had to step down because of work. That happens and is to be respected. But no one was willing or able to step up and that one sputtered for a few weeks and then died. David Hanna, W4NCS, who had worked hard at the local nets, went suddenly silent key and left a wife, young child, and an empty chair at some of the local nets. David had managed BARC’s net. Not to get into the details of all that, but the club didn’t address that promptly and by the time someone stepped up to temporarily manage it, he found there was no schedule and no remaining net control operators. ALERT is doing okay but, as of next week, it will be down to 2 net control operators. HCARC’s nets are reliable, and manned by two operators, but the numbers are usually somewhat low. It’s a specialized club, so that makes sense. And so on. The following statement will undoubtedly aggravate some people, but that doesn’t make it any less valid of an opinion. One of the most baffling things to me is that, as a general rule (meaning there are exceptions), the officers of some of the local ARC nets DO NOT CHECK IN TO THEIR OWN NETS. How would that be interpreted as anything other than a lack of support or investment in their nets? I don’t see how nets can be maintained without the interest and the support of its leadership. Please. Go ahead. Argue with me. Who cares about all this? Good question. I just keep thinking about how often the ham radio community speaks proudly about how ham radio is a critical part of the response to an emergency. We often say that’s why we have practice nets. But I wonder if it’s crazy for me to ask if we have enough trained and experienced net control stations to really be of help the next time we have a major tornado outbreak. Maybe we will have enough. I don’t know. Ham radio operators are volunteers. ARC officers are volunteers. Net managers are. Net control stations are. Here’s the thing about volunteerism. People are busy. I am jealous of my own free time and, accordingly, don’t give enough of it away. I also don’t show up to the every-other-week ARC club meetings. Bad on me. But here’s an ugly truth. Any organization that does not support its volunteers will soon find it has no volunteers. It’s not that volunteers need to be patted on the back and acknowledged to continue to be a volunteer. They need to be recognized and acknowledged to continue to be a volunteer for the organization they volunteer for. If they don’t get that support, they will volunteer elsewhere. There’s no shortage of places to volunteer. If someone wants to be a volunteer to help people in the wake of a natural disaster, there are plenty of ways to do that. This is how someone who MIGHT have been a net control operator at the scene of a disaster, ends up dipping up soup and bringing in water and blankets. Because that’s a way to be helpful. ALERT is the Alabama Emergency Response Team. The team provides the National Weather Service in Birmingham, and the community, on-call emergency communication services. ALERT responds when called upon, for severe storms, tornadoes, flooding, snow, or ice events. ALERT collects storm spotter data from amateur radio for the Natl Weather Service. To join the team or for more information, visit www.alert-alabama.org. The next meeting of ALERT will be on May 8 at 7PM at the National Weather Service Forecast office at the Shelby County Airport. If you would like to come learn about ALERT or look around the National Weather Service, you are more than welcome to attend. If for some reason you cannot attend the meeting in person, you can still participate via telephone. The teleconference number is 1-877-951-0997 & and the participant code is 741083. The 146.62 repeater adds PL tone. The “62” repeater in Moody has added a PL tone of 146.2. That’s why you can’t get in, Bro! Get into that memory channel, set that Squelch type to TONE, and pop in 146.2 and you’ll be back in biz. So, it’s now functional on 147.075 receive and 147.675 transmit, PL tone of 67 HZ. Many of you have already heard the terrible news about David Hanna, WX4NCS. David was the victim of an awful accidental injury and passed away in surgery at UAB on February 10, 2018. This is a shock, of course. For the last few years, David was a mainstay on VHF. He had served as the Assistant EC in Jefferson County and was a frequent net control operator for several of our nets. Anyone who knew him knows that he had a servant’s heart and was a kind and gentle person. He was also passionate about the safety of people in bad weather event and that was why he gave so much of his time to the nets. He was also a welcoming voice on the repeaters and many newer hams will remember him for his outreach and encouragement of ham operators. David loved the Lord and he was a devoted family man. He leaves his wife Lucretia and their pride & joy, their little girl Alivia. Please remember his friends and family in your prayers. That is David Hanna, WX4NCS, silent key. Winter Field Day 2018 is January 27 & 28. Our operating location is Alliance, Al 200 yards north of Red Top Grocery. Talk in on the 146.88 repeater and 146.58 simplex. We are at the old school site in the paved parking area.